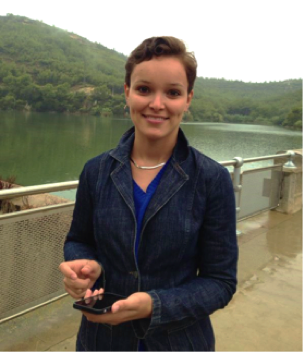 Claudia Rosas Mendoza is a Performance Analyst at Barcelona Supercomputing Center (BSC). Her main research focuses on the prediction and understanding of the behaviour of parallel code. As she says, “Eight years ago, I did not know what HPC was, but after seeing just a glimpse of its potential, I felt like a kid in a candy store”. Having followed her interest in computers from a young age, she now has a dream job working with a supercomputer, and has an interesting story to share. Claudia, tell us a bit about yourself. How did you come to work in HPC? I come from a small city in a country which generates most of its income from the oil and gas industry. I was lucky to grow up in a home where computers and technology were welcome, with parents who encouraged my curiosity, and who fed my interest in doing fun and useful things with computers, and in developing my organisational, planning and development skills. When the time came to choose my studies, I naturally enrolled for a Bachelor of Computer Science, and finished a ten-semester degree in my hometown university in record time. I was 21 when I graduated, and already felt comfortable with computers and programming languages. I have never felt that Computer Science is a subject area reserved only for boys or men. On the contrary, I have always felt in my element, and capable of accomplishing more in the future. With my Bachelor’s degree in one hand and a wide range of possibilities in the other, I enrolled for graduate studies in simulation and modelling at the Universidad de Los Andes, Venezuela – but I also dreamed of studying abroad. So I applied for a scholarship from the Universitat Autònoma de Barcelona, Spain, and was accepted to carry out pre-doctoral research in the Computer Architecture and Operating Systems Department. Without thinking twice, I was on a plane to Barcelona. In my first weeks as a graduate student, I had the opportunity to visit MareNostrum, the most powerful supercomputer in Spain, on the campus of UPC, the Universitat Politècnia de Catalunya (or BarcelonaTech). They showed us a simulation of the very first second of the Big Bang, which the researchers were working on in those days. At that very moment, I knew that I wanted to be part of it! I wanted to discover new things with that giant 'toy'. With hard work I proved to myself that I was able to keep on track, and when I finished the MSc degree, I enrolled in PhD studies. After four years I was holding a qualification in High-Performance Computing and was an expert in the performance analysis in the HPC environment. 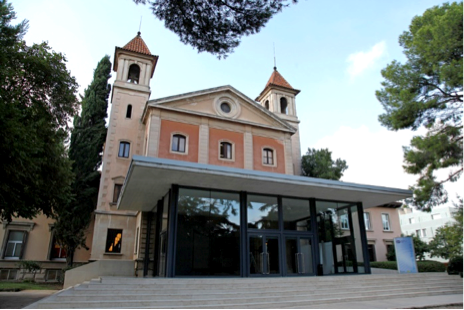 However, I did not have the chance to play with a big machine like MareNostrum until I got a post-doc position at the Barcelona Supercomputing Center (BSC). At BSC I learned all I know about the analysis of applications running on HPC systems from the Director of the Department of Computer Science and the Performance Tools Group. In my view, a parallel application running on an HPC system must take into account the hardware in order to get the best performance results. Now I am in the Department of Computer Applications in Science and Engineering, where I am continuing to improve my understanding of the whole picture. Every day I learn something new about what effect the algorithms or optimisation techniques have on specific code when running on new hardware, such as multiprocessors. Why you are passionate about working with HPC? Eight years ago I did not know what HPC was, but after seeing just a glimpse of its potential, I felt like a kid in a candy store. 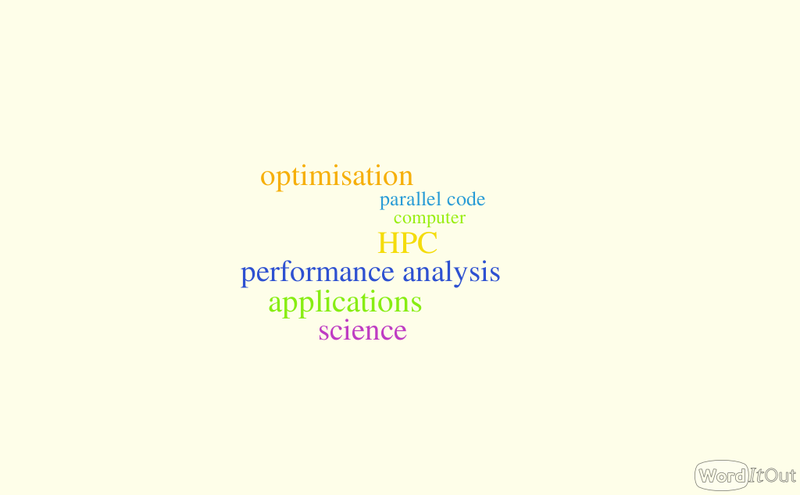 I have been involved in studying, analysing and understanding most of the ecosystem of HPC facilities, from architectures to programming models to analysis tools, and it is hard to know them all. But, when you are familiar with the environment, you can see it as a big orchestra in which every instrument knows its role and must be properly tuned in order to play a masterpiece. We still have a lot of challenges in the field; we want energy-efficient computing, we want to be able to run our codes on exascale machines, and to work with new architectures and paradigms. All these tasks combined with engineering and scientific applications involve a comprehensive toolbox to play with every day. What would you like to share with young people with interest in computers and HPC? With my story, I not only want to encourage young people, especially girls, to be curious about opportunities outside the typical careers, but to highlight that variety is the spice of life. When working in HPC, you will not only program a solution for a relevant problem in a certain field, but also work with outstanding professionals from areas as biology, physics, mechanics, materials etc. Everybody will have their own quests and new questions to answer, and will create the history of many fields of science. And of course it’s always fun to say that your computer is a supercomputer!